Carla R Jenkins, the CEO of Phenomena Corporation, a Washington, DC- based project management consultancy. 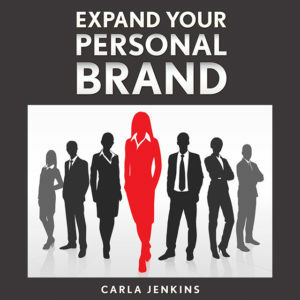 She is a two-time Amazon bestselling author of Expand Your Personal Brand and HER Chronicles 2. Moreover, Jenkins has been selected as a Sn.ips Social Media Network participant. Sn.ips is a social media campaign which connects bloggers with businesses for marketing campaigns. In addition, Jenkins is a stellar expert specializing in business, branding, project management and positive change management. Carla R Jenkins is a business visionary and trailblazer who coaches and leads organizations and individuals in meeting their business, economics, branding and project management needs. Furthermore, in 10 years’ work experience, Ms. Jenkins has received 4 promotions in 10 years. She is also the chief blogger for PositivityChange, a positive change management blog, and PM.Expert, a project management blog. Thanks for coming to the Blogger’s Pit Stop last week. Thanks for letting me post. I have learned about your blog sharing from last Saturday’s SITS Girls Sharefest.